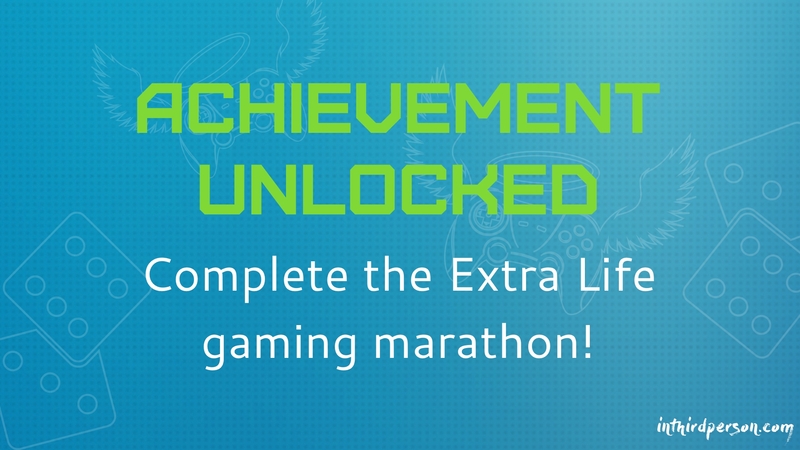 We Just Conquered the Extra Life 25-Hour Gaming Marathon! We did it! The show started at 8am on November 3rd, but it’s truly been months – if not years – in the making. So glad that we were all able to pull this together to help raise an amazing $800 for the Children’s Miracle Network of Hospitals! Technically, the show is still going, as Randy and Jenna want to play more Overwatch, but I’m going to get some much-needed rest. A now, a few words of thanks. Thank you to all of the special guests who appeared during the marathon and on the streams leading up to the big show! Randy, Jenna, Mat, Jon, Jason, Laura, Kris, Rachel, Michelle, Jascha, Janis, and Dusty; you’re all rock stars and your time and effort towards supporting the cause was greatly appreciated! Bonus shout-out to Kris & Rachel the extra effort they put into figuring out co-streaming with me. We didn’t get to use it for the marathon, but until Squad Streaming sees the light of day, that extra effort will pay off in our future streaming adventures together. Thank you to everyone who tuned in! We hope that we put on a great show for you and your support helped us get through this fun-but-difficult marathon! It took a lot of effort from many people to pull this all together, but I think it was well worth it for the money we raised for the kids and the fun times we had. Until next time….time for me to get some much-needed sleep. Previous Article The Extra Life 24-Hour Marathon Begins Now!